Safe to say Ari Aster made a splash with his debut feature, the haunting Hereditary, which makes it all the more exciting that the writer-director’s next project is coming together in a hurry. 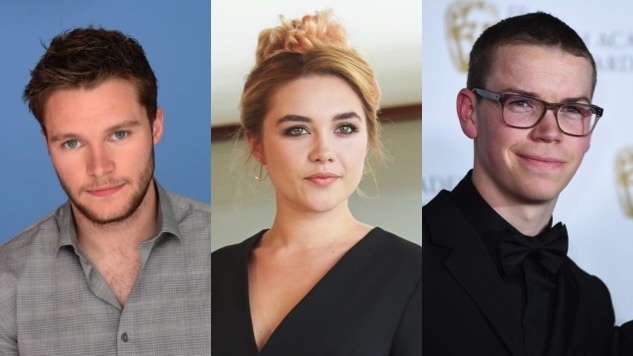 Aster’s next horror film for A24—still without an official title for the moment, though Aster referred to it as Midsommar in a June Reddit AMA—has added three noteworthy names to its cast: Free Fire’s Jack Reynor, Lady Macbeth’s Florence Pugh and Detroit’s Will Poulter. The trio joins an ensemble featuring William Jackson Harper (The Good Place), Vilhem Blomgren (Gösta), Ellora Torchia (The Split) and Archie Madekwe (Legacy). According to Collider, Pugh and Reynor will play a couple who travel to Sweden to visit a friend’s rural hometown for its folkloric mid-summer festival. The trip begins as an idyllic retreat before quickly unraveling into the increasingly violent and bizarre competition of a pagan cult. Fun! Pugh revealed she’d been cast in the film while on the Television Critics Association press tour for her new BBC/AMC drama series The Little Drummer Girl this week, later tweeting, “And what a role this will be … god am I pumped/nervous/can’t believe this is happening.” No word yet on what Poulter’s role will be, however. Aster has described the project as “a break-up movie that devolves into something much more sinister,” revealing that it “has no ties to the supernatural,” but does feature “a generous amount of psychedelia.” He also noted that the film has “some thematic ties” to his previous work, including “the family element” that made Hereditary so utterly devastating. Midsommar (maybe) is now shooting in Budapest, Hungary. Stay tuned for more on this much-anticipated movie and revisit our review of Hereditary here. Aster’s nerve-shredding nightmare of a debut made our list of 2018’s best films so far.